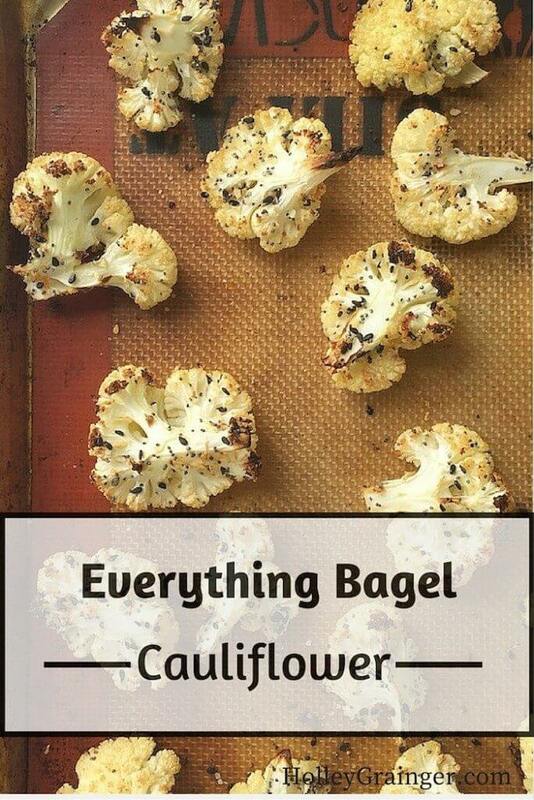 A few weeks ago my talented former intern and current nutrition student at The University of Alabama, Hannah Claire, posted her lunchbox on Instagram featuring this simple roasted Everything Bagel Cauliflower. 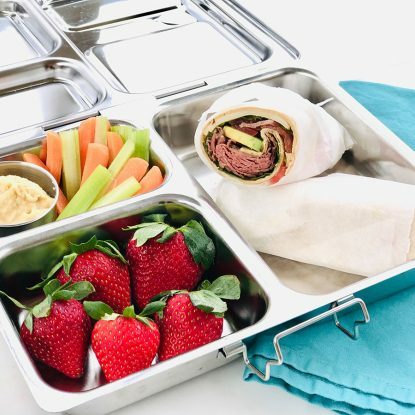 For so many you that ask me to share lunch ideas for adults in addition to the healthy school lunchbox meal plans for kids, I thought you would love to see what she packed for some inspiration. In addition to Everything Bagel Cauliflower tasting delicious cold or reheated in a lunchbox, I love it as a side with grilled meat or pork or chopped into smaller pieces and tossed into a grain salad with grape tomatoes, feta or cheddar cheese, fresh herbs, and chopped cucumber. The recipe calls for white and black sesame seeds as well as poppy seeds. If you only have black sesame seeds, no problem! Just use what you have on hand! Keeping today’s post short and simple so that the recipe can speak for itself. 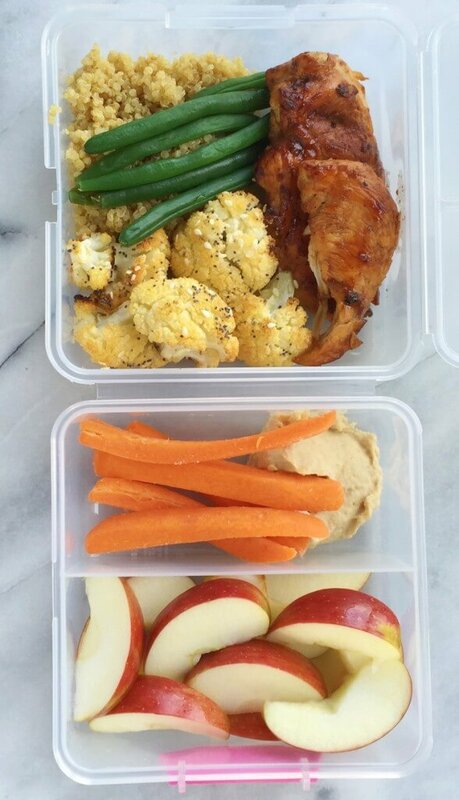 Thanks to Hannah Claire for sharing her recipe and lunchbox idea. 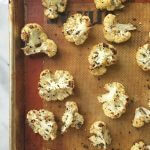 Cut the cauliflower into small florets and rinse well. Pat dry. Combine the garlic, onion, sesame seeds, poppy seeds, and salt in a small bowl. 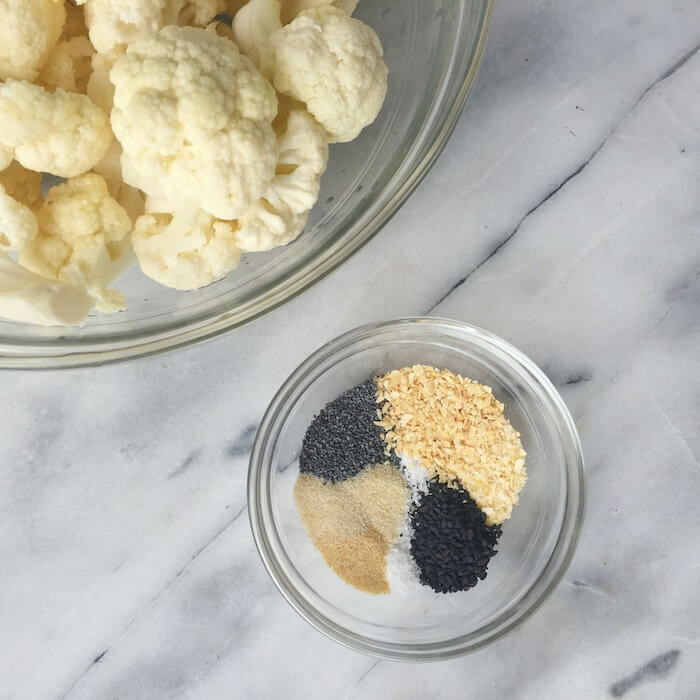 Sprinkle seasoning mix over the bowl of cauliflower, and toss to coat. Spread evenly on a baking sheet. Bake at 425 F for 30-35 minutes until browned. 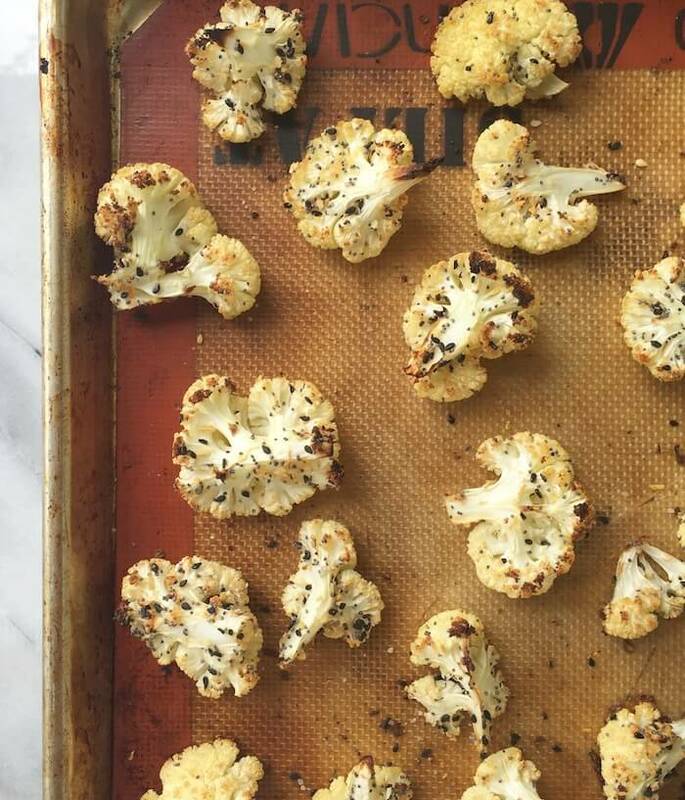 Simply roasted with seasonings and seeds, Everything Bagel Cauliflower is a standout side dish for lunch or dinner. These need to get in my stomach NOW! I will definitely be trying this recipe- thank you!! Thanks, Julie! Let me know how you like it!